A workflow is a series of windows to be filled in. A complete workflow represents a task. 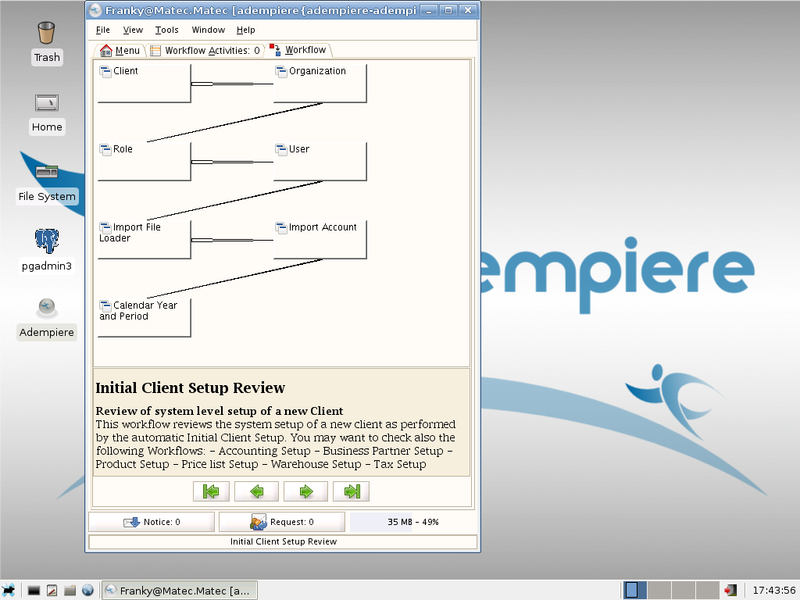 An example is setting up a client. This page was last modified on 24 September 2008, at 09:08.